I have been having a problem with my 2005 Mustang GT, 2nd and 3rd gear have a miss in them when given gas. And three times the car has stalled and said Engine Safety Mode, but no check engine light and no codes come up. 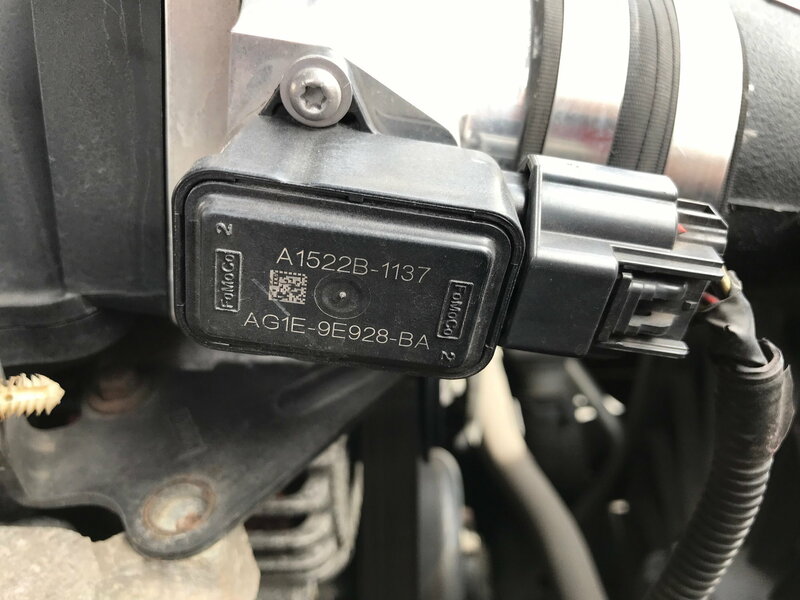 I have read online that it is sometimes caused by the throttle position sensor, but i have a Ford Racing 62mm throttle body on it and can't seem to find the same part number for it. I have a tune in it, but its been the same one for a few years, should i try retuning it. Please help if anyone has any info! This is the tcp on the Ford Racing throttle body I found the lower number but with a different top number does it matter? Expensive lil' beast... It appears the part number is M-9926-3V, and can be found in many places. It *sounds* like this is the problem, somewhere, in that the motor, gear or throttle position sensor (the A1GE-9E928-BA part number) could all be the problem. It could also be the throttle pedal assembly being 'out of tune' or not working. You can reset the throttle pedal this way: Turn key on, but do not start. Depress throttle pedal slowly, all the way to the floor, over 5 seconds. Release. Start car. Go drive. I'd do the 'reset the car' thing first, but it sure sounds like what I was having an issue with on my throttle body. Wound up replacing the whole thing. Motor/gear was not happy. Now I have a spare throttle body and new TPS sensor, if I can get a motor/gear on it that doesn't bind the butterflies, I'd just have a spare hanging around just in case. They do sell those, they're Dorman, but the ones I got both bound up the thing, so... yeah. Hope some of that helps, good luck! Thanks for the Info going to have to try the car reset. then the TCP. I have switched the throttle body back to the stock one and de-tuned the car nothing! I tried resitting the system, nothing! This is driving me crazy! I replaced the plugs and coil packs a few years ago. Still has a hesitation in 2nd & 3rd and sometimes 4th. When it goes into Engine Safety Mode it shuts the car down completely. I just don't know what it could be! I did clean the MAF. I have a SCT-4 scanner/tuner it didn't find any codes in the system. Unforgivably I have no idea what the KOEO and KOER self tests are. No problem, KOEO means checking for codes with ignition key ON but engine not running. KOER means checking for codes with ignition key ON as well with engine Running. I have no idea if the SCT-4 Tuner will do both functions. You'll just have to try to see if it works in both conditions. Good luck.